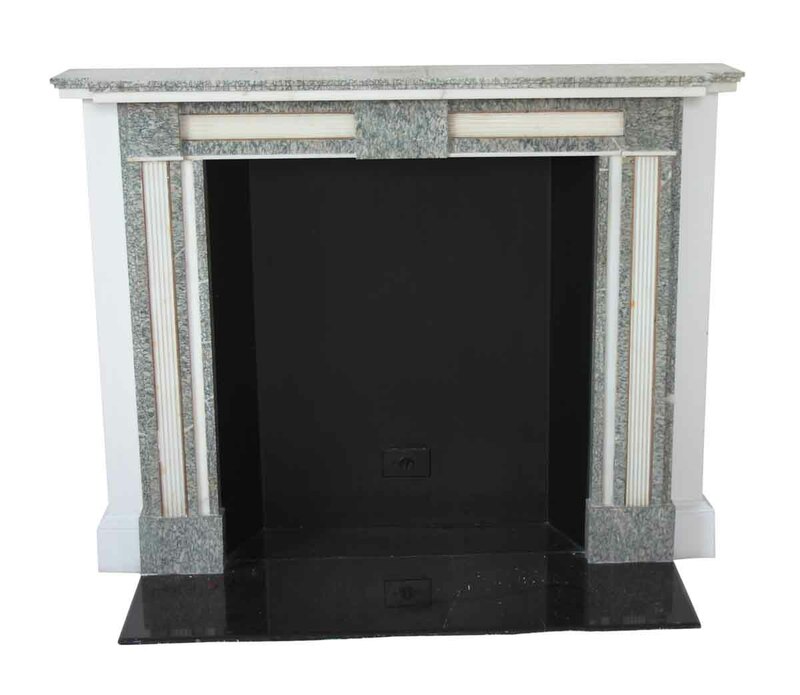 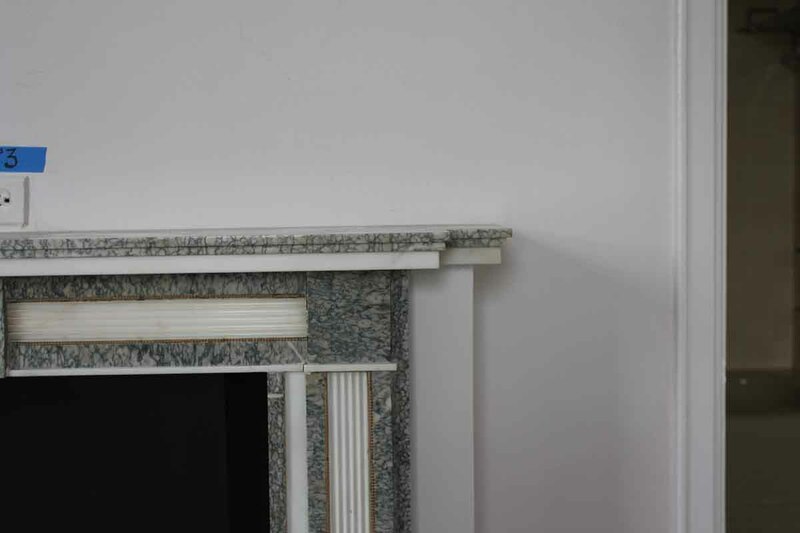 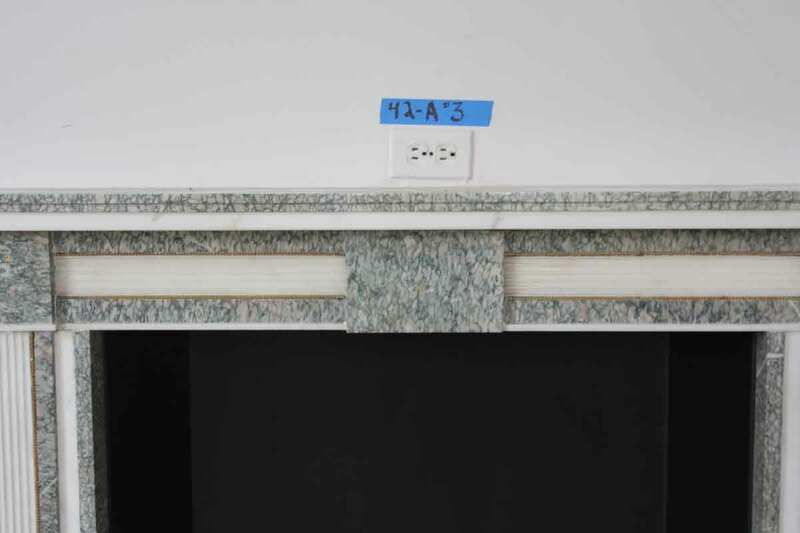 Pretty white and green marble mantel. 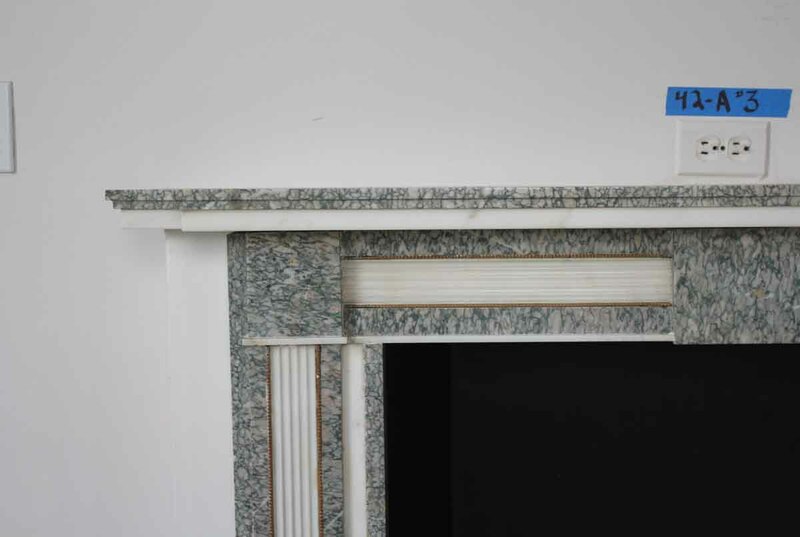 The green has heavy off white and tan veining. 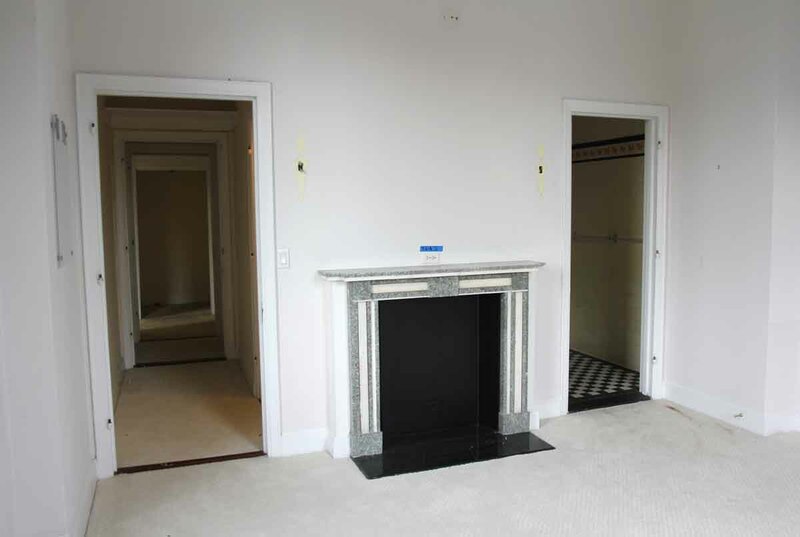 The hearth is not included. 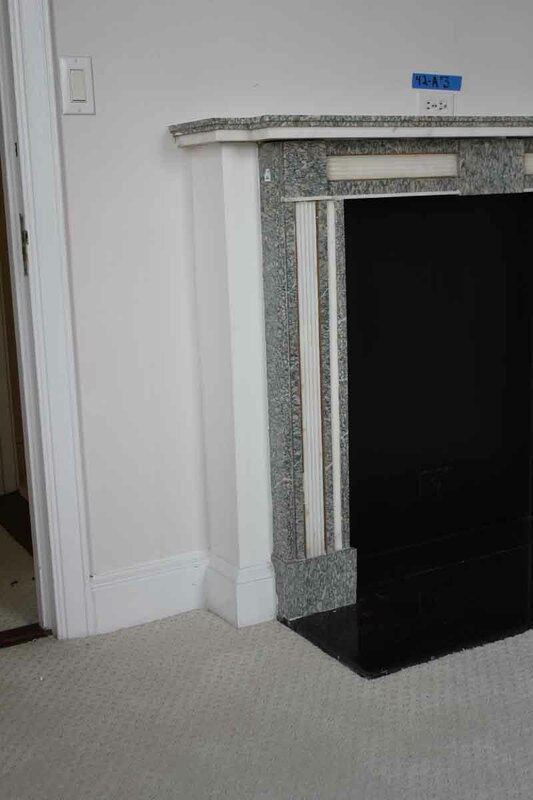 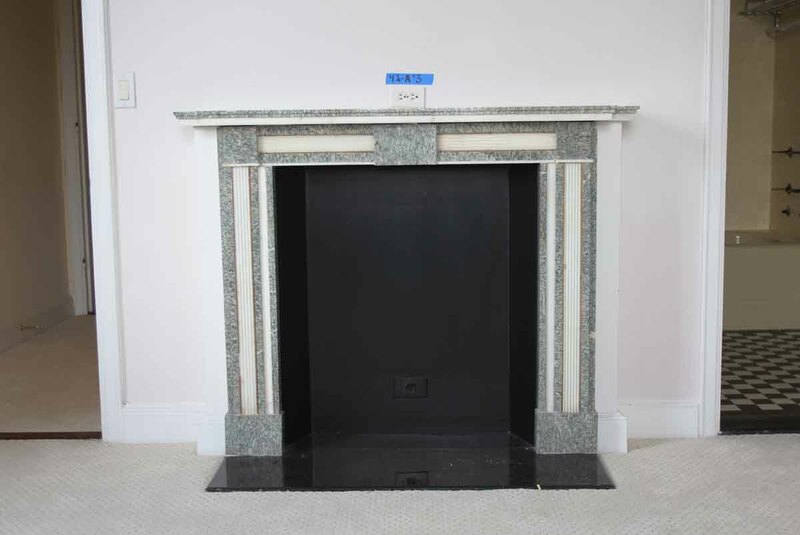 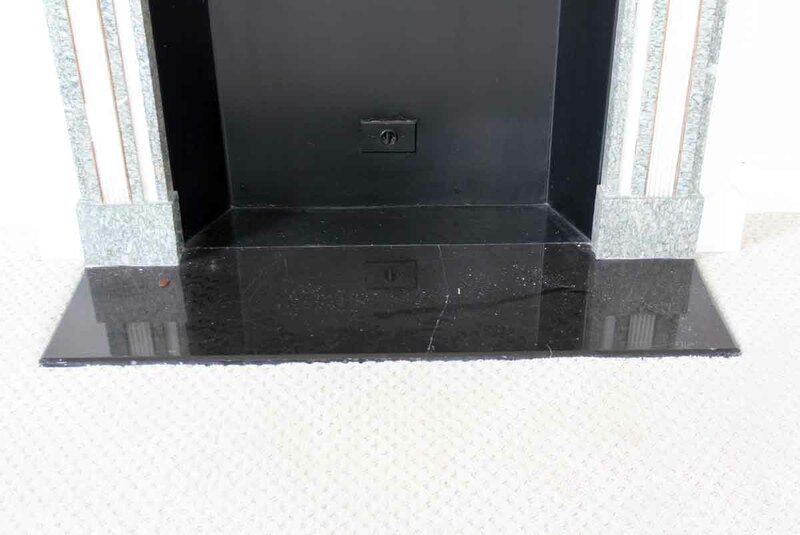 This mantel is original to room 42A3, the US Ambassadors Suite.